At-Tuwani – La mattina del 28 agosto 2012 l’esercito israeliano demoliva gran parte del villaggio palestinese di Khirbet Zanuta e tre tende nel villaggio palestinese di Susiya. A pochi kilometri di distanza una manifestazione pacifica organizzata dal Comitato di Resistenza Popolare delle colline a sud di Hebron protestava contro le politiche israeliane di demolizione e ricordava Rachel Corrie, in occasione della sentenza sulla sua uccisione nel marzo 2003. 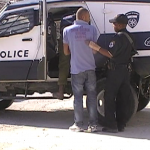 Ismail Adara, from the village of Bir al Eid, was attacked with a razor and sticks by two men. Two masked men attacked and wounded Ismail Adara, a 67-year-old Palestinian shepherd on Monday, in the cave village of Bir al Eid in the South Hebron hills, as he was grazing his flock near the village. 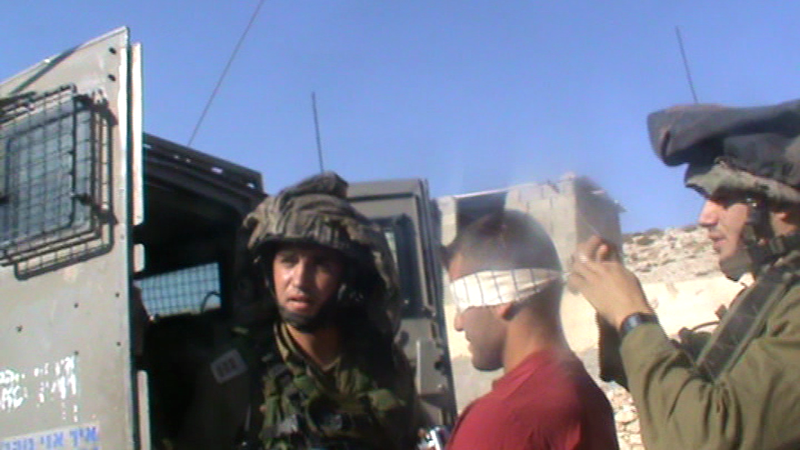 He was rushed to hospital in Hebron with wounds in the neck and fingers, and with possible head fractures. Adara was grazing his flock on Monday afternoon next to the village, a few hundred meters from the residential buildings of the unauthorized settlement outpost of Mizpeh Yair when he was attacked by two masked men. Two of his young children, a boy and a girl, were near the scene of the attack. 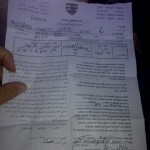 Immediately afterwards, he managed to use his cell phone to call Kamer Mashraqi Assad, a lawyer with the organization Rabbis for Human Rights, who notified the IDF and the police. According to Adara, they arrived on the scene some 45 minutes after the attack. Adara told the lawyer that shortly before 5.30 P.M. he was saw two Israelis whose full names he knows driving a car and dropping off two masked men from the vehicle. The two attacked him with a razor and beat him on the head with sticks. Adara had in his possession a thick rubber hose, which he uses while herding his flock, and he claims he protected himself with the hose, and might have managed to hit one of the two men who attacked him in the face. 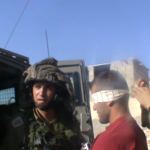 Adara was taken by military ambulance, and remembers that he lost consciousness for a while. Near the Sussiya settlement, he was transferred to a Red Crescent ambulance. As far as is Mashraqi Assad knows, police asked Adara’s two young children about him, but have still not been in direct contact with the shepherd himself. Due to repeated harassments by Israelis who live in the area, residents of Bir al Eid gradually left the village in the early 2000s, with the last resident leaving in 2003. Traffic restrictions imposed by the army and building prohibitions imposed by the Civil Administration made life there even more difficult. 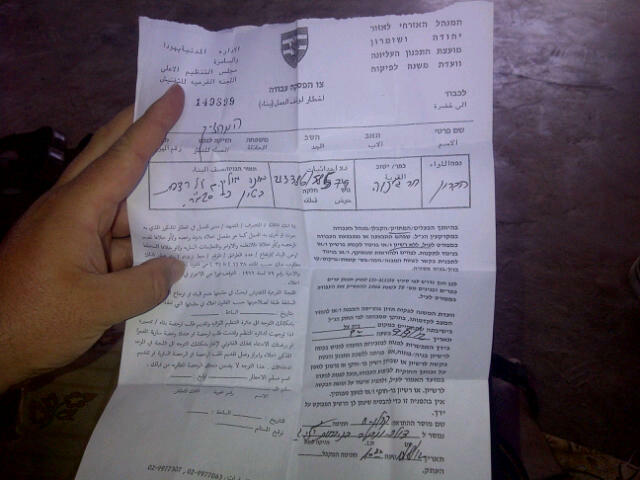 Residents complained to police of harassment which included the killing of their sheep, the burning of fields and crops, damage to their property, blocking access to the village, setting dogs on them, and dumping sheep carcasses into cisterns. In a visit to the abandoned village in autumn 2007, Haaretz photographer Alex Levac, a Haaretz reporters and UN staff were attacked by two Israelis from the outpost. 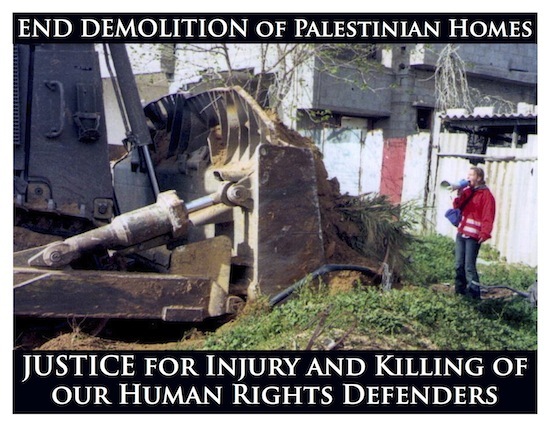 After a legal battle led by Rabbis for Human Rights, the residents returned to the village in 2009. Adara, who is married to four women, was one of the residents who was most anxious to return to his home, despite fears of recurring attacks. In the past three years, the residents have again complained of harassment, such as repeated damage to pipes that carry water from the well, sheep stealing, property damage and trespassing. Video: Havat Maon.. a promo. Havat Maon Settlement – Promo from Yoray Liberman on Vimeo. As European diplomats and Israeli courts deliberate the future of Palestinians in Area C, the Palestinian Authority is taking action it hopes will secure that future. “How can you watch this and keep on using diplomatic language?” I asked, not expecting an answer from the three European Union diplomats in whose car I rode through the southern Hebron hills last Wednesday. By “this” I meant the sickening disparity between the lush green vegetation and the abundance of new homes in the Jewish settlements and the avalanche of demolition orders issued against tents and jury-rigged shanties where Palestinians live on their own land and 30 liters of water per person (because of Israel’s refusal to connect them to the water grid ). 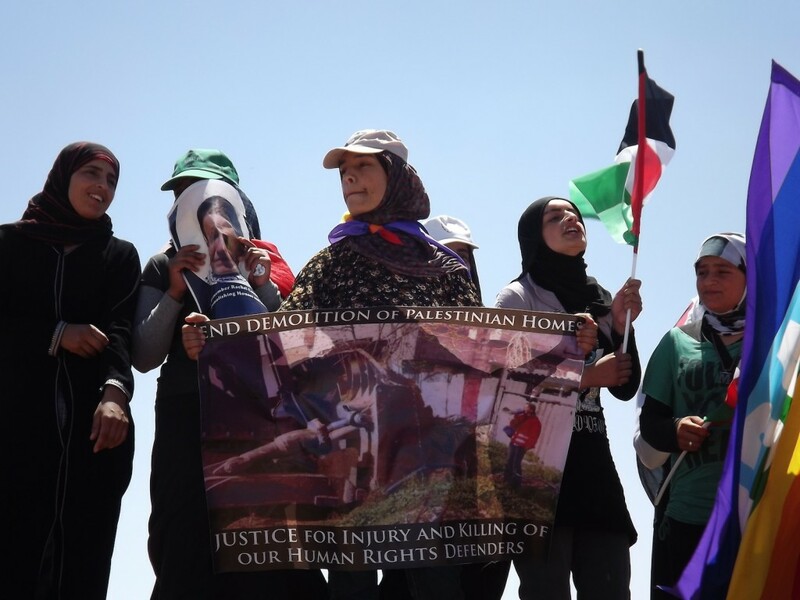 On August 13th activists from Israeli group Ta’ayush referred that “Israeli Army delivered two demolition orders for block structures with concrete floor” in the palestinian village of Jinba. 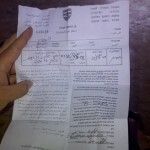 Delivery of demolition orders takes place a few days after the army raided the same village on August 7th. Il giorno 13 agosto abbiamo avuto notizia, dagli attivisti dell’associazione israeliana Ta’ayush, che “stamane l’esercito israeliano ha consegnato due ordini di demolizione per strutture a mattoni con pavimentazione” presso il villaggio palestinese di Jinba. La consegna degli ordini di demolizione avviene pochi giorni dopo l’irruzione dell’esercito nello stesso villaggio il 7 agosto scorso. Il giorno 7 agosto 2012 alle ore 10:00 del mattino un gruppo di 70 soldati dell’ Israeli Defence Force in tenuta da combattimento, ha fatto irruzione nel villaggio palestinese di Jinba, con il supporto logistico di 2 elicotteri militari, che sono atterrati su due colline poco distanti e 6 automezzi. Il battaglione è entrato a Jinba e per un’ ora e mezza ha minacciato i locali, danneggiato le loro abitazioni perquisendo con irruenza gli interni e lasciato le strutture in grande disordine. 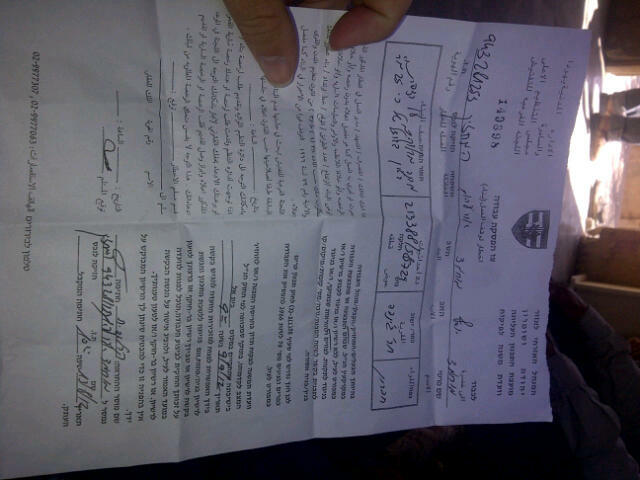 At around 4 pm on August 11th, four soldiers came in the palestinian village of At Tuwani. They stopped a car, because they suspected that was stolen. 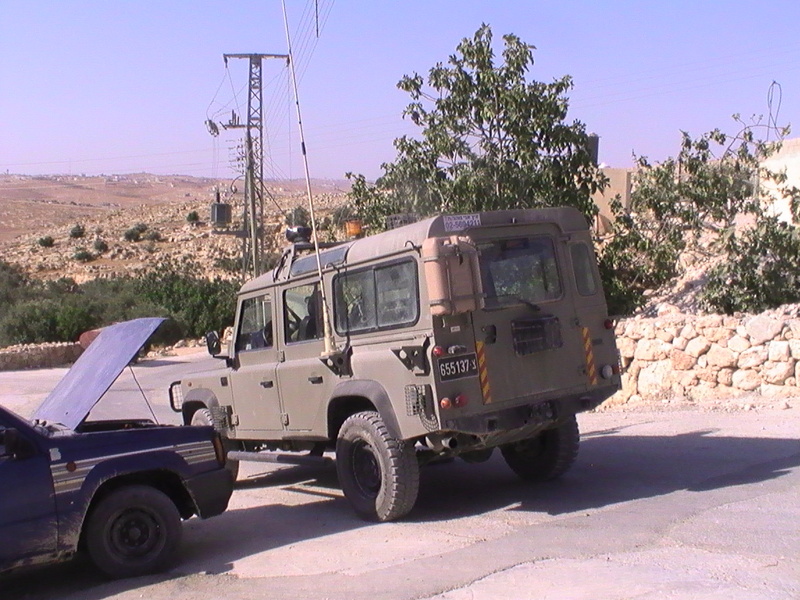 The soldiers blocked the main road of the village (the road to the Mosque) for around an hour. A palestinian twenty years old crossed the soldier’s block to get the Mosque, that caused tension between the inhabitants and soldiers. 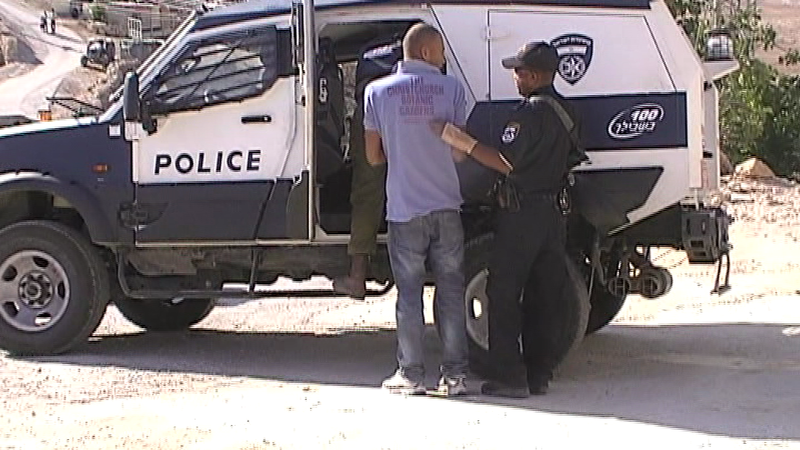 At 4.50 pm a police vehicle arrived in the village and arrested the driver of the supposed stolen car. 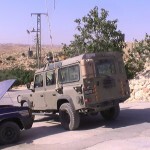 At around 5.00 pm an other army jeep came in the village and the soldiers went to the twenty years old palestinian’s house and arrested him.